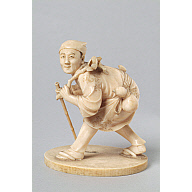 The Far East has long been a source of fascination for Western collectors. 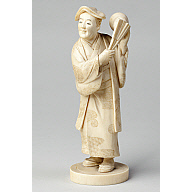 For many centuries travellers and merchants ventured across the globe in search of decorative objects from exotic countries such as China and Japan. 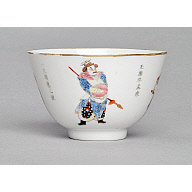 During the 17th and 18th centuries trading links with the East led to a thriving export market in Chinese silks, lacquerware and porcelain. 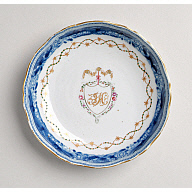 Collectors were able to acquire historical pieces, as well as goods which were made exclusively for export to Europe. During Queen Victoria's reign (1837-1901) Britain emerge as the most powerful nation in the world. The British Empire expanded and the advent of Imperialism helped to instigate shows such as The Great Exhibition of 1851 and the London International Exhibition in 1862. These enormous public displays drew together exhibits and treasures from all over the world, exciting and inspiring an interest in the exotic and unusual. Whilst previously, only a privileged few had toured Europe or forayed into the Middle East, now all sections of society could see unusual and evocative artefacts from around the globe. However, the country viewed as particularly mysterious and enticing was Japan. It was shrouded in secrecy as, for more than 200 years, it had closed itself off to the West. 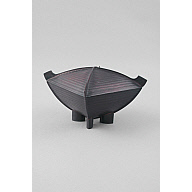 Once trade was re-established in 1858, merchants brought back examples of Japanese lacquerware, woodcuts, ceramics and ivory carvings to Europe. 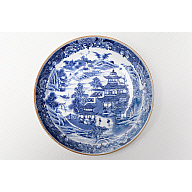 These were avidly snapped up by Westerners hungry for a glimpse of a country so long hidden from their eyes. 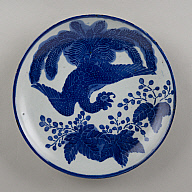 This fascination with Japan culminated in an artistic movement referred to as 'Japonisme': a word which describes the influence of Japanese aesthetics on the Western culture. 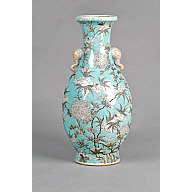 Many of the prized Oriental objects acquired by Western collectors eventually found their way into museum collections. Aberdeen Art Gallery and Museums is very fortunate to have a large collection of Far Eastern objects originally gathered by passionate Aberdonian collectors, such as the Misses Duguid, Miss Ann Reid and James Cromar Watt, who bequeathed part of his collection to the City in 1941. 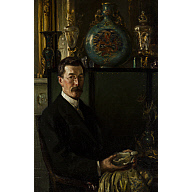 James Cromar Watt (1862 - 1940) was born in Aberdeen and practised as an architect, designer, jeweller and enameller dedicating his life to the promotion of the arts in the North East of Scotland. 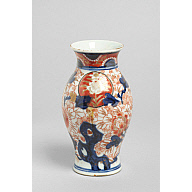 Cromar Watt amassed a large collection of Oriental objects, which informed many of his designs. 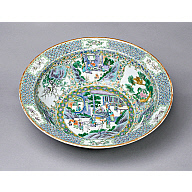 The fascination with all things Oriental still abounds today and Aberdeen Art Gallery & Museums has continued in the vein of collecting craft produced by makers from the Far East, some of whom now work in the UK. 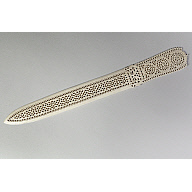 This virtual exhibition showcases some of the best pieces of historical and contemporary Oriental decorative art from the AAGM collection, which can currently be seen at Aberdeen Art Gallery. Found 162 Results. Showing records 1 to 12. Page 1 of 14.